When reviewing reports generated by OSHA, there is one thing that remains consistent year after year. This is the fact that issues related to fall protection are constantly at the top of their lists. Each year OSHA has to issue thousands of violations and citations to companies related to fall protection. While these violations are bad enough, it is even worse when you realize the fact that there are also thousands of injuries and even fatalities due to falls at the workplace. With this in mind, it is important to understand why many companies have such a difficult time meeting all the regulations in place related to this essential safety category. Look at each of the following five difficulties that companies face when working on improving fall safety and see where your facility can make changes or improvements to help keep people safe and remain in compliance. One of the biggest difficulties that companies face in this area is that there are many different regulations that they need to stay in compliance with. OSHA alone has dozens of different fall protection guidelines, recommendations and regulations that you should be aware of. Many of them are industry specific, so they don’t apply to everyone. For example, construction workers have a set of standards that they must follow, but these same standards don’t really apply to someone working in a warehouse facility. This can lead some companies to mistakenly think that they can ignore some regulations that should actually apply to them. In addition, while OSHA is the biggest and best known regulatory organization, there are many others too. It can be overwhelming at times to be aware of all the requirements that are placed on a facility. While it is not always easy to keep up with all the requirements that are placed on a facility, this is no excuse. One of the most important parts of running any business is keeping your employees safe while on the job. Part of that is taking the time to really understand all the regulations related to fall protection so that you can avoid potentially serious accidents and injuries. Fall Protection Equipment is Uncomfortable – Many people don’t like the restrictions or discomfort that some equipment puts on them. This is, of course, no reason not to follow the proven safety requirements. Only going up for a moment – When employees just have to go up to a set height for a moment or two they often neglect following the prescribed safety regulations. Accidents can happen at any moment, so it is always essential to follow the fall protection requirements. Not very high up – When people are working at heights that are only 5-10 feet off the ground they often feel like they aren’t in much danger. The reality, however, is that even these fairly short falls can result in broken bones and other serious injuries. Been doing this for years – Many people who have been working at heights for years believe that they have the experience to avoid getting hurt. While they may have a lower risk of falling, it is certainly not 100% safe. The fall protection equipment is specifically there for those rare situations where mistakes happen. Equipment is Unorganized – When employees can’t easily access fall protection equipment, they are more likely to not use it. With that in mind, make sure to organize your equipment. This can be done by using industrial labels (such as this), floor marking tape (which you can find here) or any number of other items that can help with the overall organization of your facility. Of course each person will have their own reason for not following the fall protection procedures that are in place for a facility. No matter what these reasons are, however, a company is responsible for making sure that all employees follow the established processes. If one or more people aren’t following the rules, there must be consequences to help get everyone doing the right thing. This will not only help keep them safe, but will also help to avoid any citations or fines from OSHA or other regulatory organizations. Many facilities are actually out of compliance because they don’t want to invest the money in getting all the required personal protection equipment. Having safety harnesses, railings and other items that can help keep people who are working high above the ground can be quite expensive. This is especially true for companies that work in many different locations, such as construction crews. Coming up with the right safety gear for each situation can be very costly. The fact is, however, that if the right equipment is not available, the company will end up having to pay high fees and penalties. In many cases, these fines will continue until the company has the safety equipment in place anyway, which means in the long run it will be cheaper to just make the necessary investment up front so that there aren’t any fines or other unnecessary expenses. Of course, when budgets are tight, it can be difficult. Just keep in mind that in most cases there are a variety of fall protection options to choose from. You may be able to get a simple harness system that will keep everyone safe for far less than it would cost to bring in a more elaborate system. The essential thing is not having the most advanced system in place, but rather having an effective system that will keep people safe and meet the regulatory requirements. In today’s competitive environment, companies need to be able to work quickly and efficiently. Unfortunately, this can lead some companies to put speed ahead of safety. They may encourage employees to get their jobs done without the proper safety equipment. Whether this is expressly stated, or the business goals and focus make it clear to the employees, this is a major danger. While the desire to be as competitive as possible is understandable, companies need to always make the conscious decision to put safety first. Fortunately, however, it has been shown that companies that focus on safety tend to perform better in almost all other categories too. With this in mind, it just makes sense to focus on proper fall protection, even if it slows things down a little bit. One last reason why fall protection is constantly on OSHA’s list is because it is typically very easy for an inspector to identify this problem. 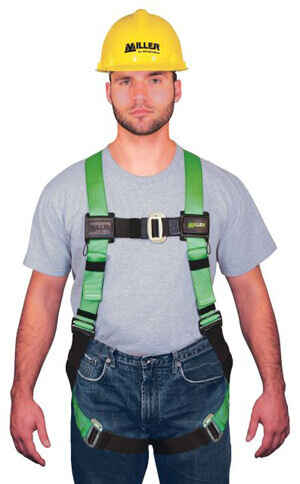 For example, if they don’t see the proper fall protection equipment in place, they can immediately issue a citation. In addition, when they ask employees what the fall protection policies are, it will be clear whether it is sufficient or not. 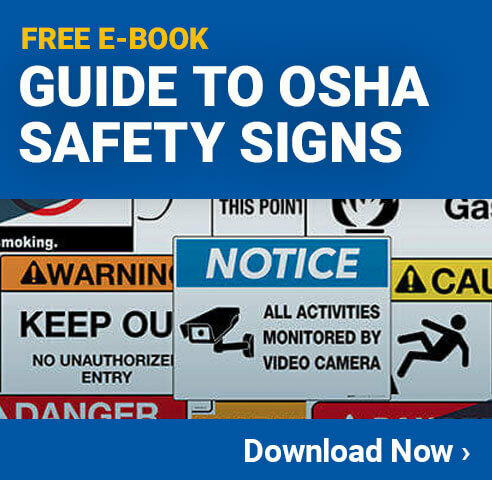 The bottom line when looking at OSHA reports is that you need to constantly be working to improve safety and avoid being cited for any violations. Nowhere is this truer than in the area of fall protection.